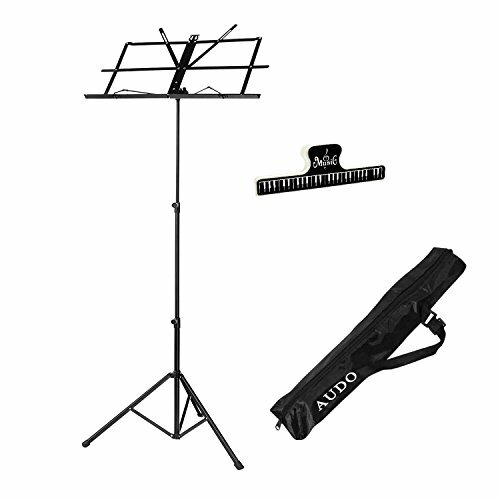 The music stand folds fast for easy storage and portability. The two tier vertical shaft, and tilting bookplate makes this stand perfect for sitting or standing. Height adjusts from 28" to 52". Metal spring arms can hold 8.5 x 11-inch music sheets or thin books. Folds up for easy transport, and includes Carry Bag and Music Book Clip . If you have any questions about this product by Audo, contact us by completing and submitting the form below. If you are looking for a specif part number, please include it with your message.